In many ways, orthotropics and orthodontics share several similarities. Both treatment plans focus on improving oral health development through careful realignment, and both are often prescribed to help children avoid more serious oral health concerns in the future. However, deciding on the best treatment option for your child depends on the specific concerns your child faces. For instance, while orthodontic treatment can correct growth and development issues related to malocclusion (a crooked bite), orthotropics may be necessary to correct issues with the development of a child’s facial structures. Orthodontic treatment most often comes in the form of braces, which are brackets and wires that are semi-permanently bonded onto your child’s teeth. The point of the braces is to ensure proper alignment as your child’s jaw and teeth develop. The greater the misalignment, the more extensive the treatment may be, and may young patients go through several orthodontic phases before correct alignment is achieved. However, after treatment, your child can enjoy a straighter, more symmetrical, and healthier smile for life. Though similar to orthodontics, orthotropic treatment involves the use of custom-designed aligners that help guide the proper development of a child’s oral and facial structures. 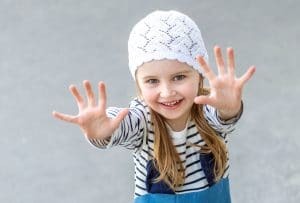 When a child exhibits potential issues with the growth of facial structures, such as the upper jaw and palate, those concerns can affect much more than bite function. For example, improper spacing can lead to an abnormally small airway, which can increase risks of disorders such as sleep apnea. After orthotropic treatment, your can will enjoy a healthier and better functioning smile as well as improved overall health and quality of life. Depending on the specific nature of your child’s oral and facial growth concerns, your dentist can help you determine if orthodontics or orthotropics is the better treatment option. To learn more, schedule a consultation by calling the office of James Stewart, DDS in Livonia, MI, today at (734) 425-4400. We also proudly serve patients who live in Farmington Hills, Farmington, Plymouth, Northville, Novi, Dearborn Heights, Dearborn, Garden City, Westland, Redford, and all surrounding communities.